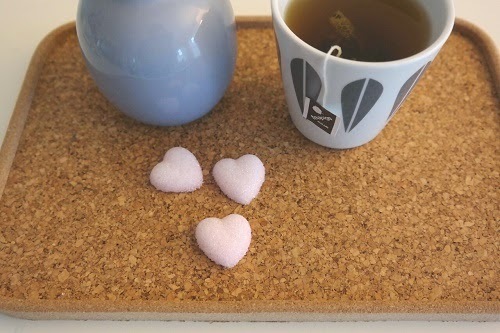 Why not make someting yourself to give away next time you go visiting. 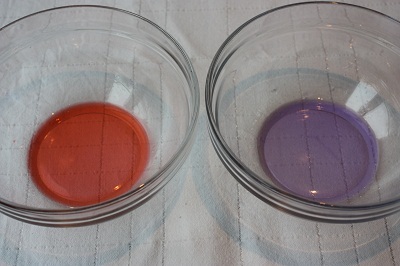 In a bowl mix water and food coloring ad the sugar and mix until you get a grainy wet sand mixture look. 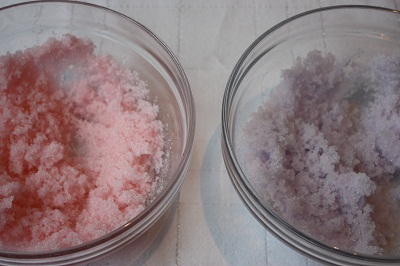 I divided the ingredients in two batches so I would have two different colored shapes. Pack the mixture in the moulds as hard as you can, but not so hard that your moulds break. 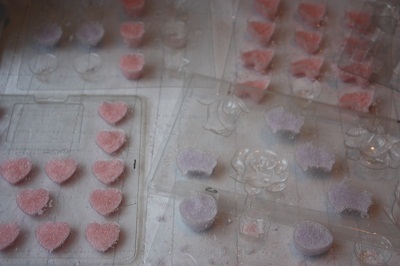 Put the molds aside to dry for about 12 hours depending on the thickness of your shapes. 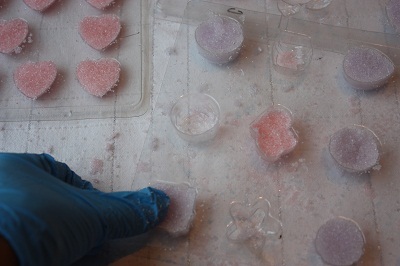 If they come out easily when you tap the moulds the they are done. 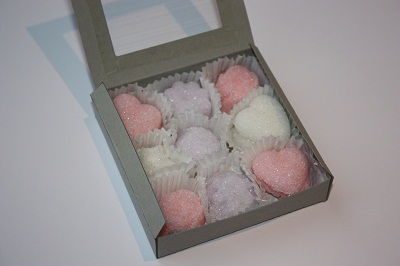 Put the shapes in little plastic baggies or boxes and there you have a small gift for someone who has everything.